Want to know a secret? There is no other activity that delivers so many benefits with little effort then sleep. Restful sleep is one of the five pillars of health and getting a good night’s sleep should be at the top of your to-do list this month. Everyone knows there’s nothing like a good night’s sleep for feeling refreshed and alert in the morning. Let’s take on 2017! Emma’s sleep workshop is on Saturday 28th from 10-12pm at Acorn Health. Tickets must be booked in advance and are £25.00 cash on the day of the event. Please call 01243 379693 to book. We are a small group tackling the common problem so many of us have: how to get a really good night’s sleep. We’re delighted to announce that our St George’s Day Charity Dog Walk has helped raise £398.35 for local charity Hounds for Heroes. Emsworth’s St George’s Day weekend of events was supported by The Emsworth Business Association, Havant Borough Council, Acorn Creative Ltd, South Downs Water, and Emsworth Cookery School. Join our St George’s Day Charity Dog Walk! 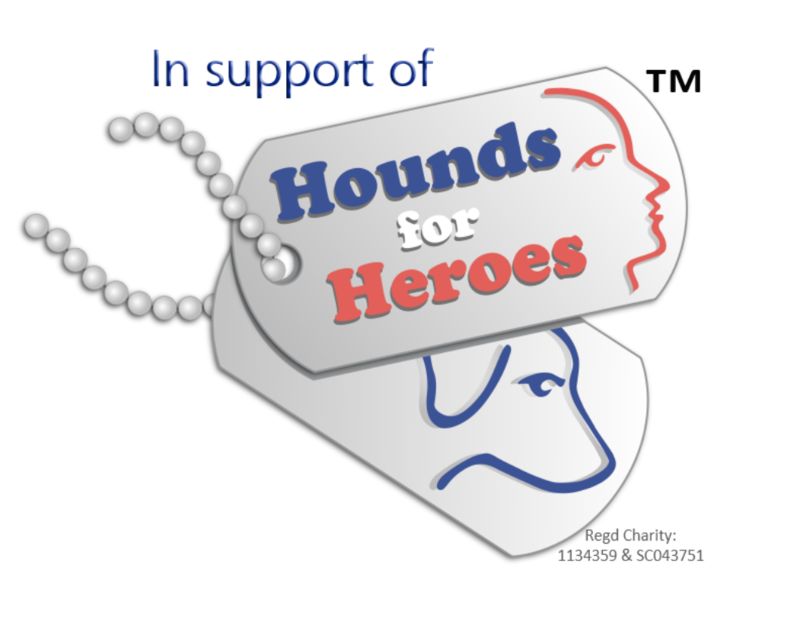 Hounds For Heroes are a charity based in Petersfield who provide specially trained assistance dogs to injured or disabled men and women from the UK Armed Forces and UK Civilian Emergency Services. 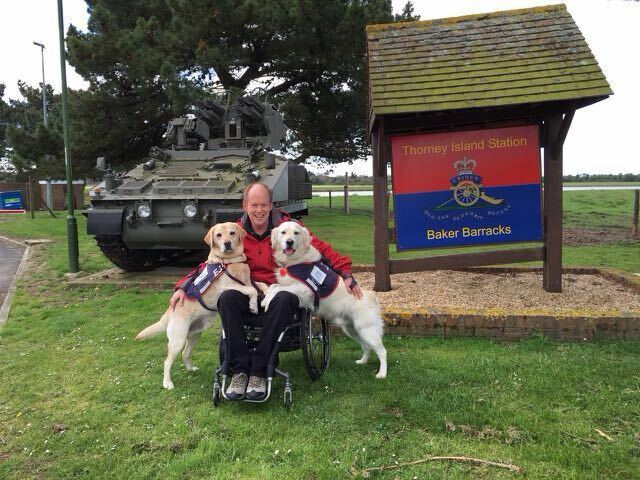 Hounds For Heroes provide all specialist training, in addition to covering pet food and vet bills for life for each of these talented pups, at a cost of £30,000 per dog. 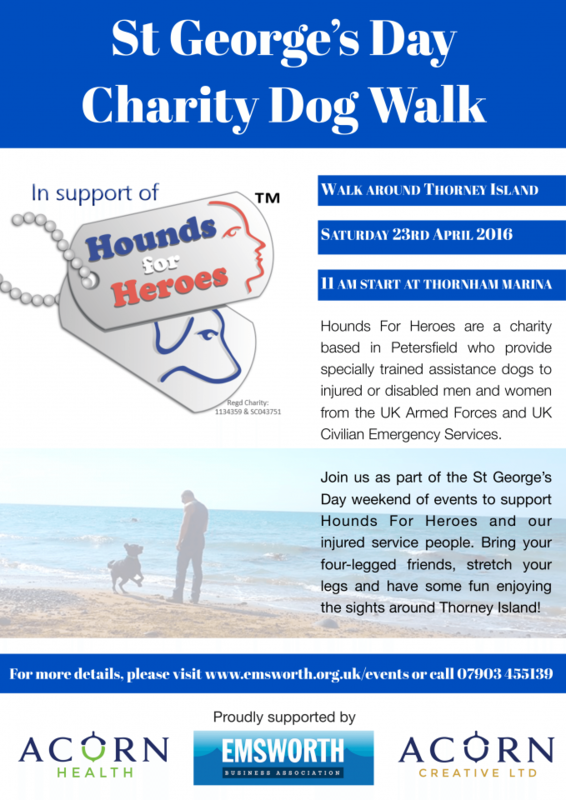 Supported by the The Emsworth Business Association and our sister company Acorn Creative Ltd, join us as part of the St George’s Day weekend of events to support Hounds For Heroes and our injured service people. 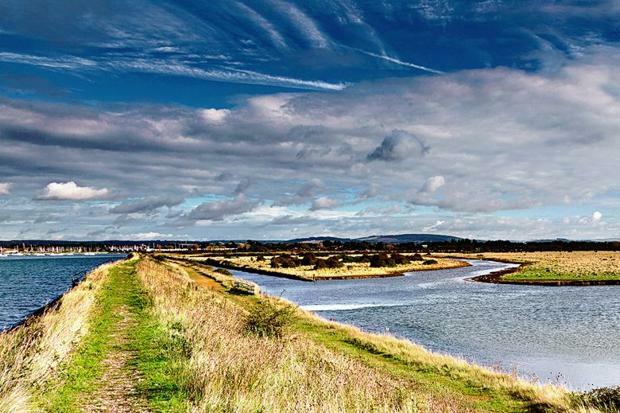 Bring your four-legged friends, stretch your legs and have some fun enjoying the Area of Outstanding Natural Beauty around Thorney Island. Join our charity dog walk! Full event details here. Please respect our countryside, local residents and Thorney Island Millitary Base by ensuring you scoop your dogs’ poop and bin it. Help us make this a fantastic family day out for everyone! Suggested donation is £5 per dog, dogs can bring their owners, family members and anyone else who would like to come along! Additonal sponsorship forms can be found online here. Starting Point: Thornham Lane, just past the Thornham Marina. Some parking spaces (20 spaces max) have been kindly offered to our event by Thornham Marina – All dogs must be kept on leads here due to heavy vehicles moving around on site. The full wallk is approx 8 miles around the Island (approx 3.5 hours). Why not take a picnic and enjoy some refreshments at St Nicholas’ Church, near the halfway point. For those with little legs looking for a shorter walk there is a gate-to-gate option that doesn’t take you around the full island (purple route on map). Please be aware that livestock graze close to the path so dogs should be under their owner’s control. All donations made will be presented to Hounds for Heroes. Our thanks to Thorney Island SSO Tim Kenealy for his support with this event.